Participants in community-led development projects tell the success story of Dalia Association’s local alternative to harmful international aid agendas. 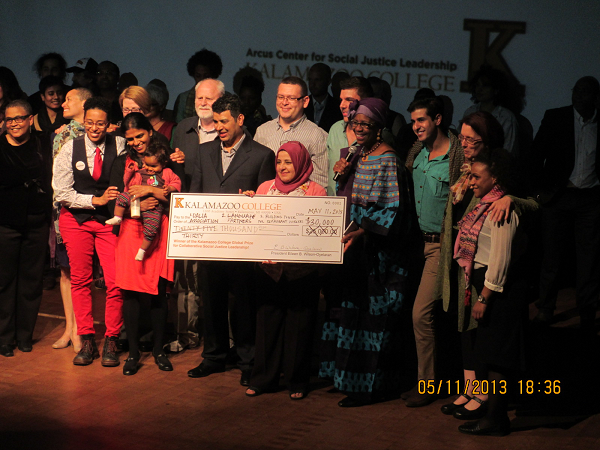 Dalia Association was announced a winner of the Kalamazoo College Global Prize for Collaborative Social Justice Leadership from the Arcus Center on 11 May 2013. The prize recognized Dalia Association’s groundbreaking work using innovative and collaborative strategies to develop accountability and self-determination in Palestinian civil society. Dalia Association submitted a film, “The Road to Palestinian Self-Determination” to apply for the prize. The 10-minute film, created by Palestinian filmmaker Sami Alalul, takes a journey led by Palestinian villagers who tell about the association’s projects: the Nu’eima Cooperative Association’s new workshop and showroom for handcrafts; the sheep-raising project of the Auga Cooperative for Rural Development-Jericho District; and Sanour Associations Networking-Jenin District received the “Village Decides” program grant as decided in a community meeting. 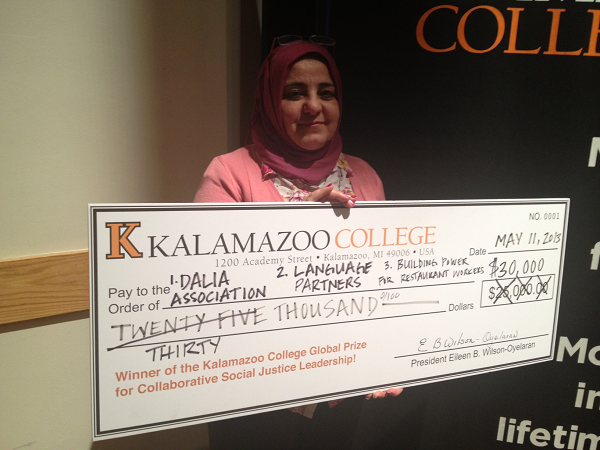 A sense of possibility and the power within the Palestinian people to make change was the message carried by Saeeda Mousa, executive director of Dalia Associationand Alalul when they traveled to the Arcus Center at Kalamazoo College in Michigan, USA. Dalia Association was one of 15 finalists for the Global Prize selected out of 188 organizations from 23 different countries. Mousa and Alalul were invited to participate in a two-day workshop during which judges and participants selected the final winners. The positive response to Mousa and Alalul’s presentation about Dalia Association’s philosophy and projects was immediate. Mousa and Alalul explained in detail Dalia Association’s strategies and lessons learned in response to specific questions from the audience. Mousa was deeply encouraged by the participants’ warm reception of Dalia Association’s mission and achievements. Students and administrators from Kalamazoo College participated in the workshop, along with community volunteers and representatives of 15 social justice organizations from around the world, as well as the members of the jury committee. 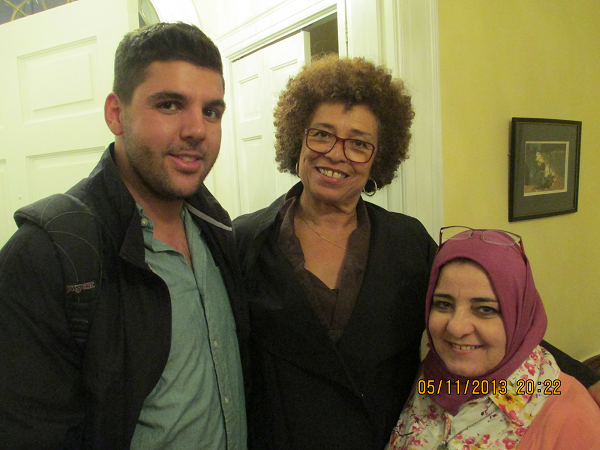 Angela Davis, the renowned American civil rights activist, was among the jurors. Grant writing intern at Dalia Association.